1Cook the rice however you would normally cook it, then spread it out while still hot on a rimmed baking sheet. Bring the vinegar and sugar to a simmer in a small saucepan, then pour it over the rice, tossing it about to coat. 2When the rice is cool, put it into a bowl and add the carrot, green onions and cucumber. Divide among 4 wide, shallow bowls. Top with avocado. 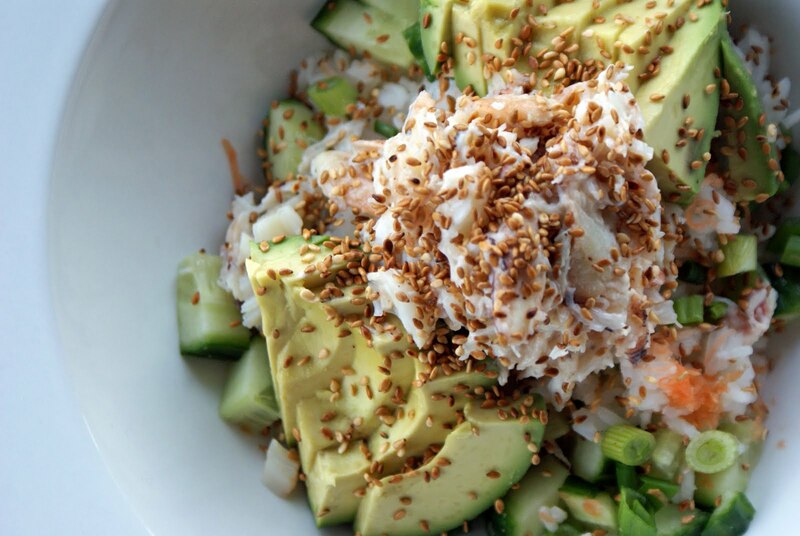 In a small bowl, stir together the crab, mayo and salt; divide between the bowls, and sprinkle with sesame seeds and cilantro.